"Lyrath Estate... a place of understated elegance"
Blending ‘something old, something new’, at the heart of Lyrath Estate Hotel is a gorgeous 17th century Manor House, which has been sensitively restored and added to by a series of chic, modern spaces to create a luxurious resort, set in 170 acres of lush green parkland and historic gardens. The perfect marriage of past and present, Lyrath Estate makes an exquisite backdrop to any wedding, whether traditional or contemporary. 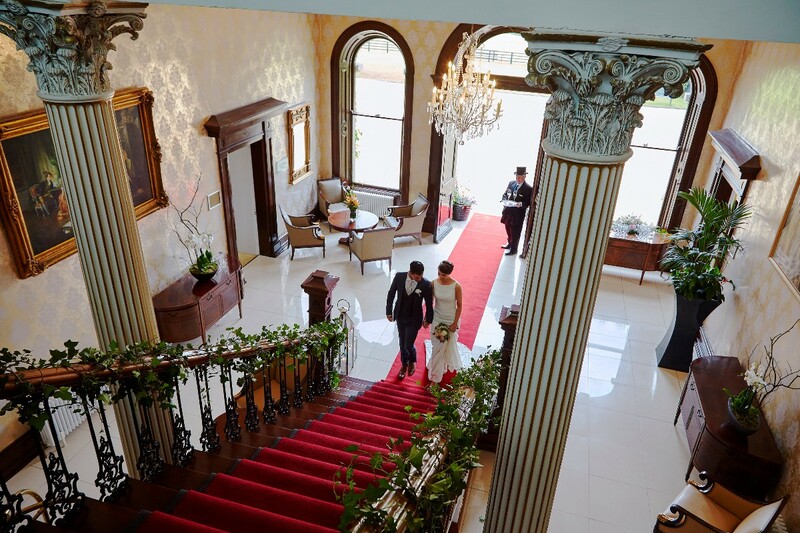 From your arrival up the main avenue, past to the original historic home where you will greet your guests in old world elegance and grandeur, a wedding at Lyrath Estate Hotel is a very special occasion. The charming décor at 17th Century Lyrath Estate Manor House provides a gorgeous setting for intimate weddings up to 100 guests. Larger parties of 100 guests and more are catered for equally superbly in the elegant surroundings of our Ballroom, uniquely spacious with impressive chandeliers. 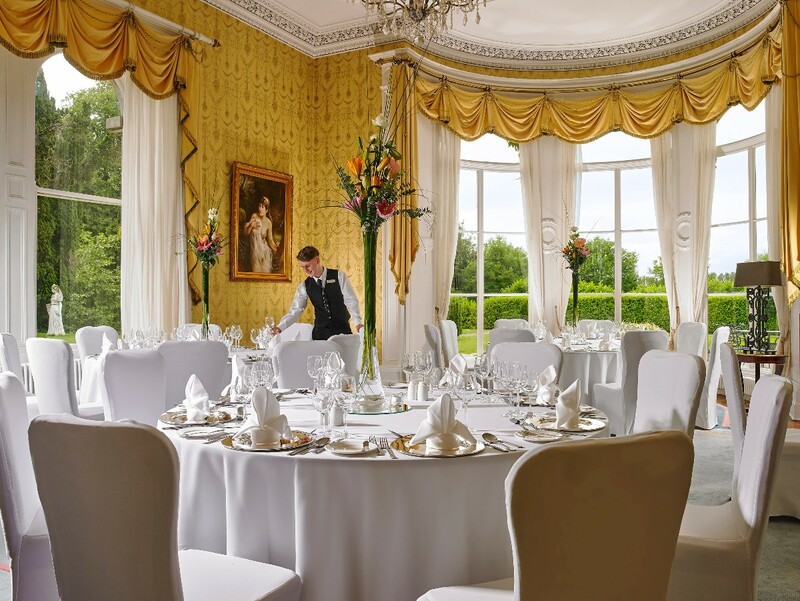 From artfully designed table d’hôte wedding menus to bespoke menus tailor made to suit your personal style and taste, the team of award-winning chefs continue the trademark Lyrath Estate Hotel attention to detail in the exceptional food created for each wedding. 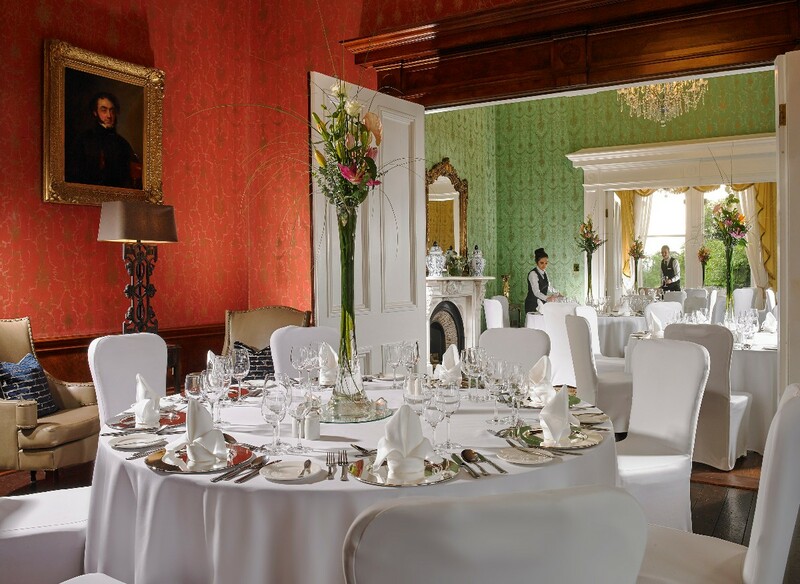 Lyrath Estate Hotel & Spa is one of the country’s finest hotels and a magnificent venue for a stylish and memorable wedding. 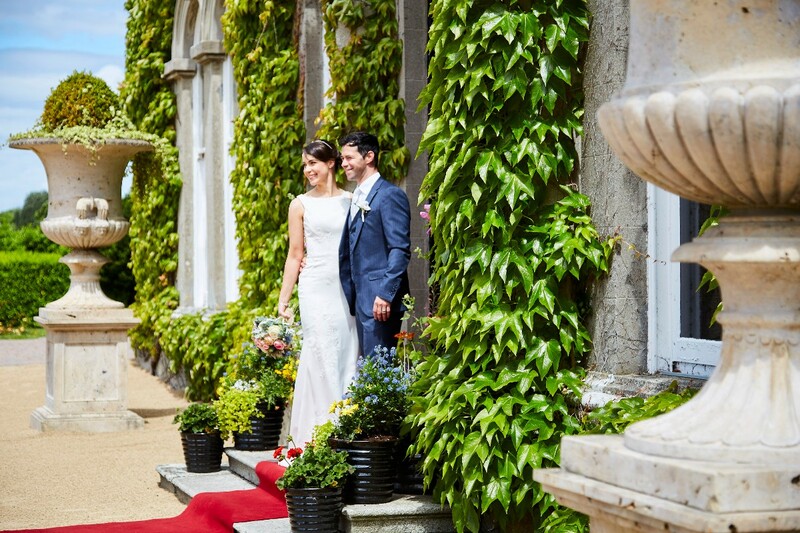 Lyrath Estate Hotel is a Hotel Wedding Venue and Luxury Venue in Kilkenny servicing weddings throughout the local area including Dublin, Kildare, Corkc, Carlow, Kilkenny, Waterford, Tipperary, Laois, Wexford. 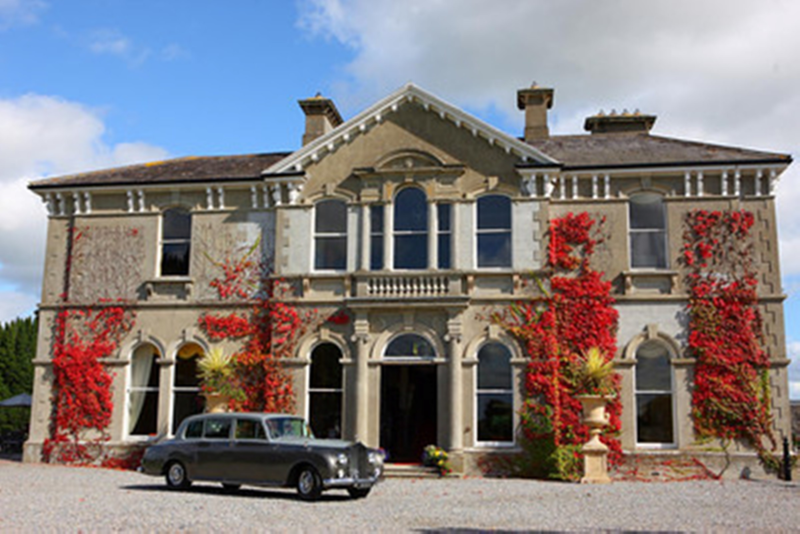 Lyrath Estate Hotel is a reputable Wedding Venue that has been part of the Wedding industry for many years specialising in a magnificent setting for a stylish and memorable wedding.. 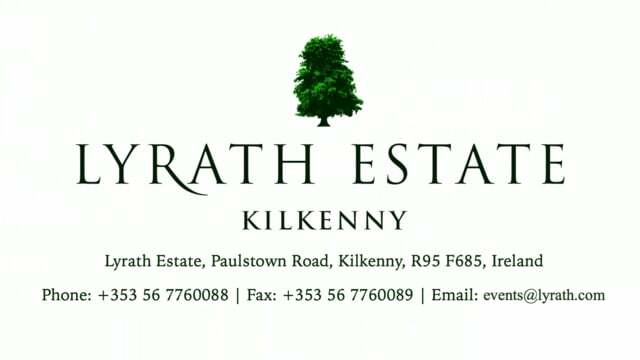 Weddings at Lyrath Estate from Lyrath Estate on Vimeo. From the moment we drove into Lyrath Estate Hotel to view the venue for our Wedding, we were blown away. Everything about this place is amazing. But it's not just the aesthetics that are amazing here it's the staff & the food also. We were looked after by wedding coordinators Sylwia & Gill who were both fantastic right the way through from our initial visit to our special day. On the day Gill & Nathan were absolutely wonderful, making us feel at ease & had such attention to detail. The food was just devine right throughout the day & all of guests raved about the food afterwards. 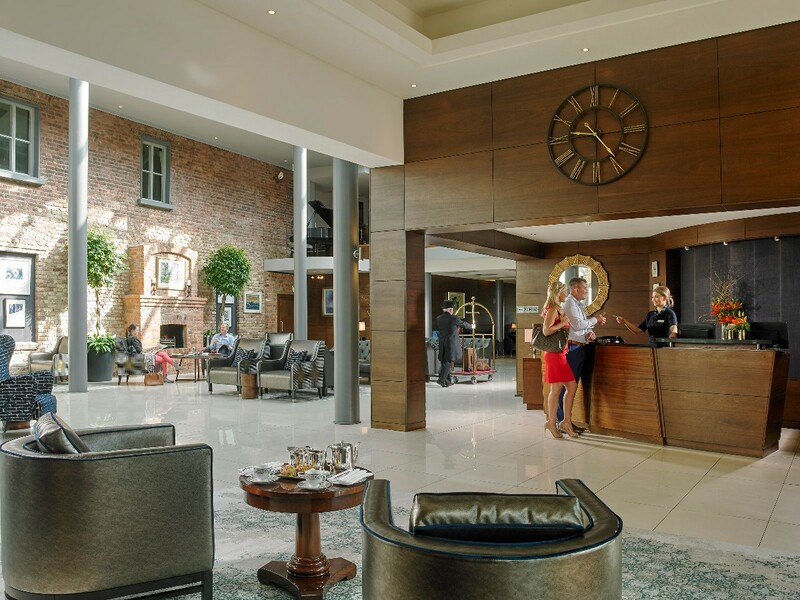 The highlights for us were: Beautiful areas both indoors & outdoors for our photos, amazing food, amazing staff, large dance floor, luxurious bedrooms & lots lots more. Just wish we could do it all over again. Thanks so much for the best day of our lives. 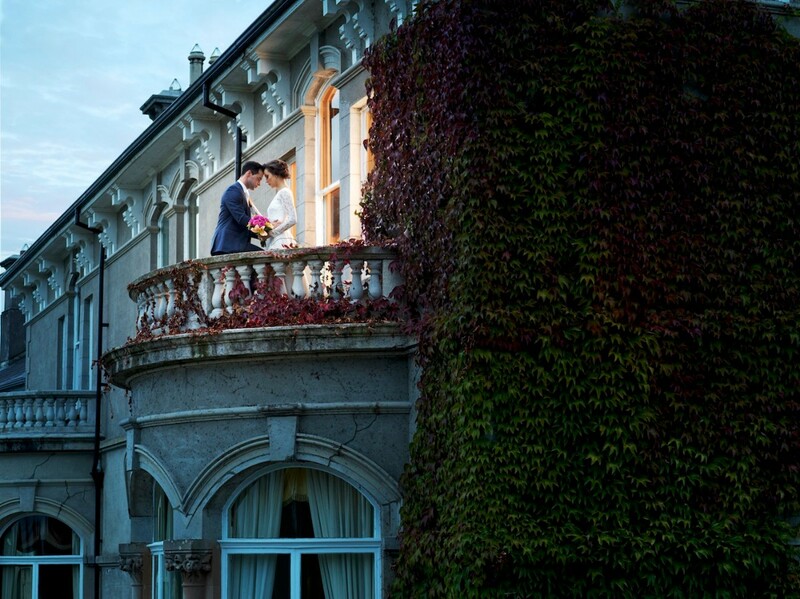 Lyrath is the perfect venue for a wedding! We had about 200 guests and so many of them said "we are definitely coming back to this place". The food is incredible and we had the honour of meeting the amazing chef Abi (everyone raved about the food), there was plenty of drink and the grounds are stunning and so unique(amazing for photos). Gill was our wedding coordinator and she went above and beyond. Lyrath is so unique in their service- while it's a 5 star hotel, you don't feel the staff are being friendly because they have to. There is a warmth and friendliness that makes you feel a part of the place. I've never seen this in a hotel before and Gill was a perfect example of that also. You don't just build a "professional" relationship throughout the process, you build a friendship which is so genuine. I hope Lyrath never loose that quality. When we hadn't organised a flower arrangement for the church to bring to the venue for the top table, Gill was one step ahead of us and organised ia florist to make one anyway (she knew us only too well). All staff on the day were so friendly and kind, in particular Nathan, who really looked after us. We visited a lot of venues but couldn't have picked a better one and we cannot wait to go back!! I really can’t fault a thing. 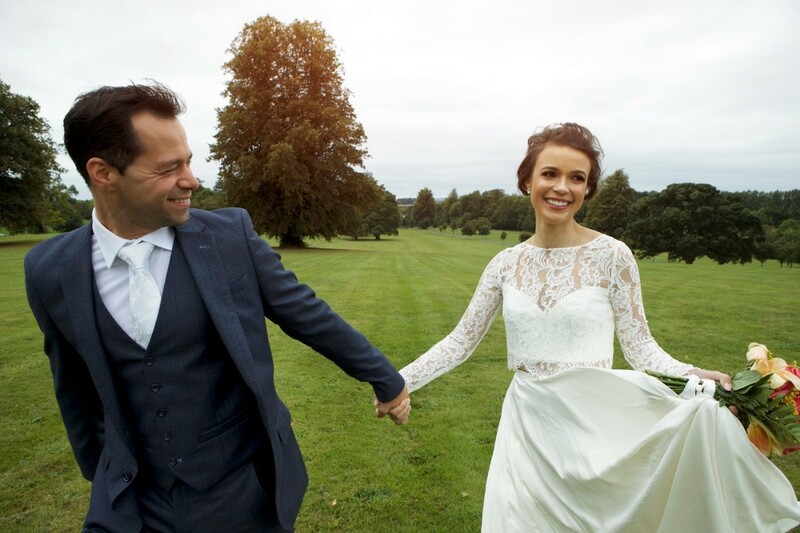 From the moment we booked our wedding day the staff were so helpful and attentive! On the day itself the staff were exceptional. The hotel and ground are absolutely gorgeous so many lovely hidden spots for photos! The food was 10/10, Our guests are still talking about it. I couldn’t recommend the lyrath more! 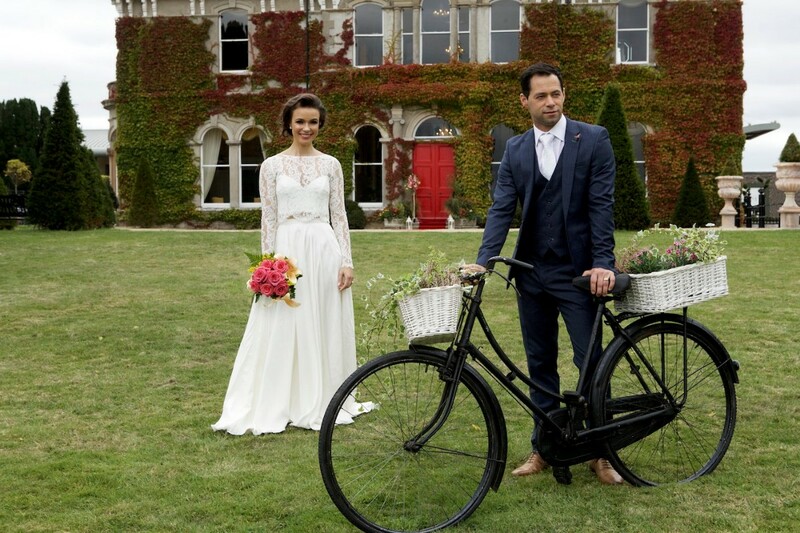 Congratulations again Clodagh & Bryan, I am delighted you had such a lovely day at our gorgeous hotel. It was truly a pleasure working along side you! Utmost professional service, guests were all raving about the food. Planner was Gill who couldn't have done more for us. Everything from breakfast on the morning of the wedding to the BBQ on second day ran like a well oiled machine which meant we could really enjoy the celebrations. Would highly recommend the lyrath for wedding venue. Absolutely perfect day. I don't know where to start! We got married recently on 27th August 2018 in Lyrath Estate Hotel and from start to finish, it was absolutely brilliant. The whole team, including Gill, Colm, and Nathan were just superb. Our car to the church broke down and Gill organised a beautiful Beaufort wedding car to come from Waterford to collect us from the church. The food at the reception and dinner was delicious and all of our guests commented on how nice and how much food they got! We were in the McCurdy Suite for dinner and it was stunning. The layout, table planning and decor (organised by Gill and Colm) was perfect. The whole day ran so smoothly. We stayed in Lyrath for an extra night and we were treated like royalty from all of the staff, at breakfast, in the spa, at lunch and dinner the next day. We felt so special. All of our guests commented on how kind and obliging the staff were. There is not one thing I could find fault with in Lyrath Estate. Only that we can't do it all over again! We couldn't ask for a better wedding day. Best day of our lives. Thank you so much to all at Lyrath Estate! 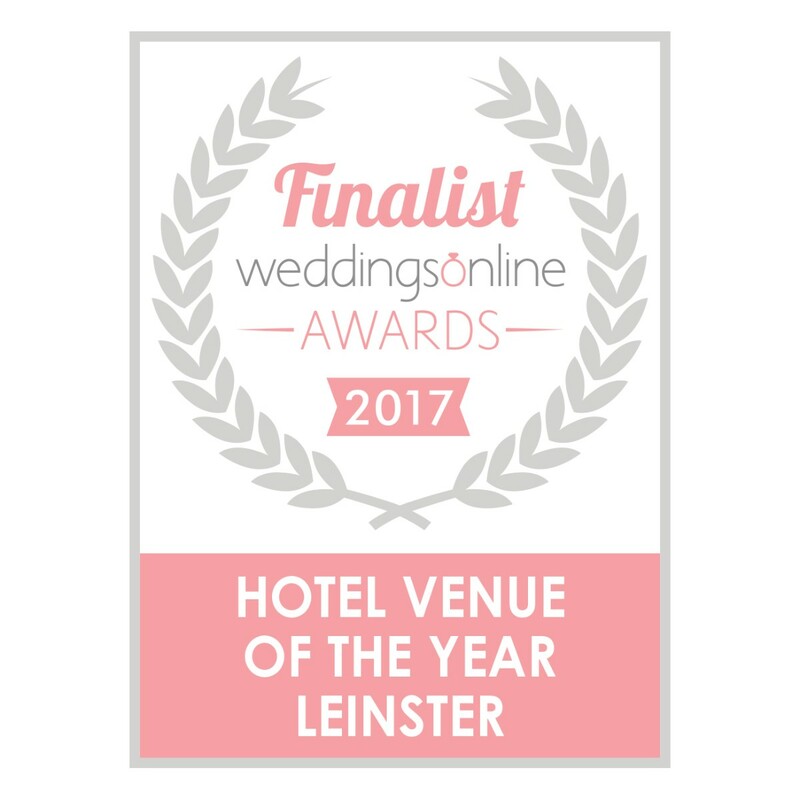 Thank you so much for your lovely review, it was a pleasure working with you both on the lead up to the Big Day and I'm absolutely delighted that you had the Best Day in our Beautiful Hotel. Hope little Alex is looking after Riley the Teddy! Hope to see you all soon :) Gill. 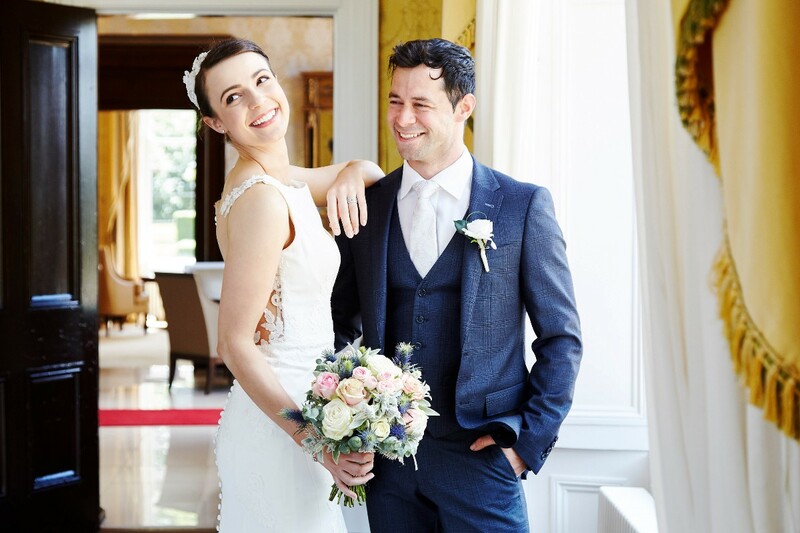 My husband and I got married on August 10th 2018 and celebrated our Wedding in Lyrath Estate Hotel. To say that Lyrath Estate is a perfect wedding venue is an understatement. Attention to detail is absolutely incredible and the friendliness and professionalism shown to our guests from all staff members hugely added to our day. From the moment we checked into the hotel we were greeted with a standard of service that in my opinion surpasses 5 star. Gill Long is amazing at what she does and any Wedding in her hands is sure to be a fabulous one. Colm was by our side throughout our Wedding weekend and was a huge support both on our Wedding day and at our post Wedding BBQ in the purpose built area which is also beautiful! There are so many names I could mention as all staff members were simply amazing. My Wedding was 2 months ago and my guests are still raving about the venue - in particular the lobby and the food! 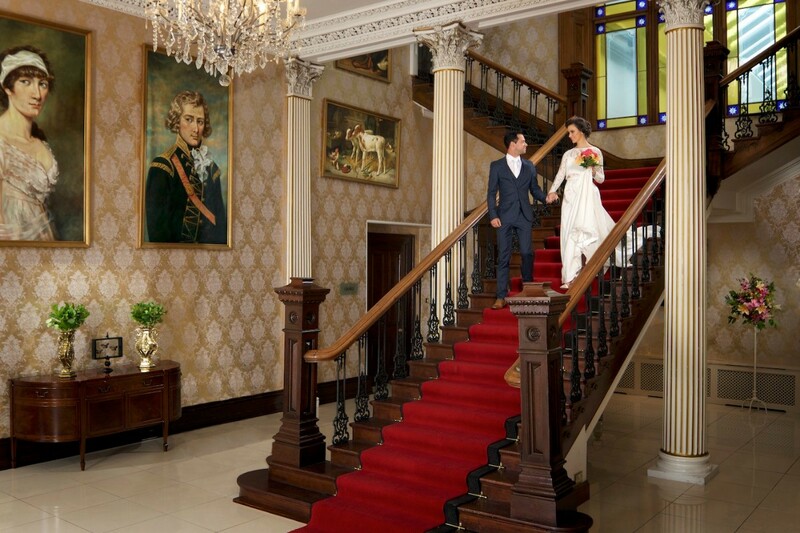 I would not hesitate in recommending Lyrath Estate Hotel to any couple who want a perfect, elegant, magical and memorable Wedding day. We were so impressed with the whole team at Lyrath. The day was perfect and every little detail was appreciated and noted by ourselves and our guests. We felt like a king and queen for the day and had the most amazing time. 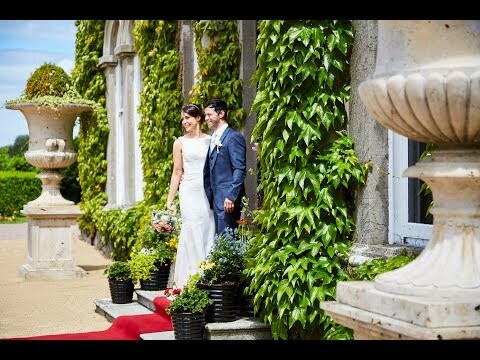 We got married on the 20th of July 2018 in the beautiful Lyrath Estate. From the day we booked the wedding, all the staff could not have been more helpful. The Events and Reservations teams were fantastic at keeping on top of things for us and getting back quickly to any questions we had. Gill and Iona were great to deal with. They made everything so easy for us when we were trying to iron out the finer details closer to the day. A special mention goes to João, the banqueting manager, and his Catering team. The food was fantastic for the wedding and the BBQ on the second day. From the day we met João at our menu tasting, he could not have done any more for us, or our guests. A few people had some special requests on the day of the wedding, João was more than accommodating. People are still commenting to us now about how good the food was at our wedding. Overall, Lyrath Estate was a fantastic venue for our wedding. We got married at Lyrath over the summer in July. They were such a fantastic venue to work with from start to finish. While there were a few hiccups along the way with new wedding coordinators being introduced to us in the middle of the process, they showed up nothing but professionalism the whole time. They were always willing to accommodate our ideas and were so flexible. They let us bring our wedding decorations and candy bar stock down weeks before and let us leave them with them for as long as we needed after the wedding. It took a lot of stress out of the big day for me personally. Needless to say, the venus is absolutely gorgeous and all of our wedding guests said that it was the best wedding they had ever been to! The pups roaming the grounds might have helped sway people a bit as well. ;) Wouldn't hesitate to book our wedding there again and I can't wait to just go down and spend another weekend with them. 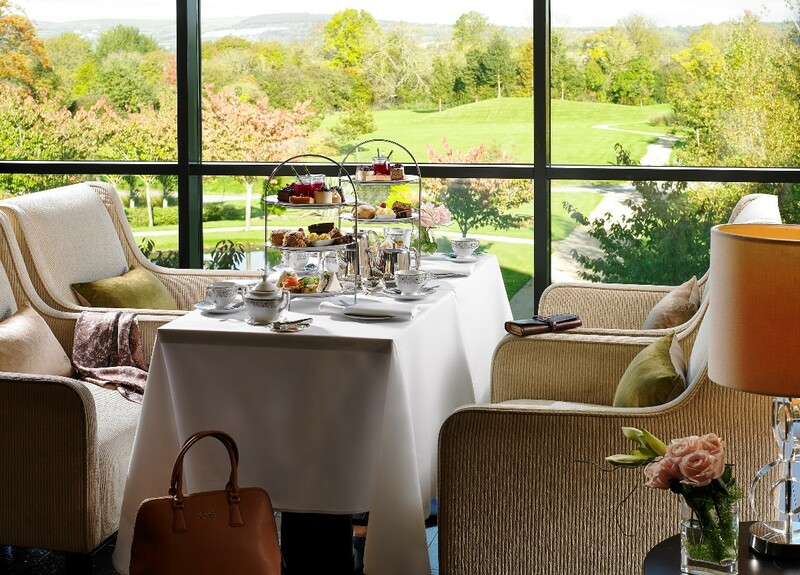 We chose The Lyrath Estate Hotel because...... We initially looked passed The Lyrath as it was literally too close to home being on our doorstep, but in the end we just couldn’t find where that came close by comparison. We looked farther afield for something a little different but on all levels kept coming back to Kilkenny and to The Lyrath. Firstly, the setting is Magic!! On driving up - the countryside views and landscapes stretching for miles really creates a breath-taking feel that not many of the larger venues who can cater for numbers of 250+ can offer. Living away from Ireland in Oz, the setting was so important for us as we wanted to feel like we were really at Home, surrounded by Green. 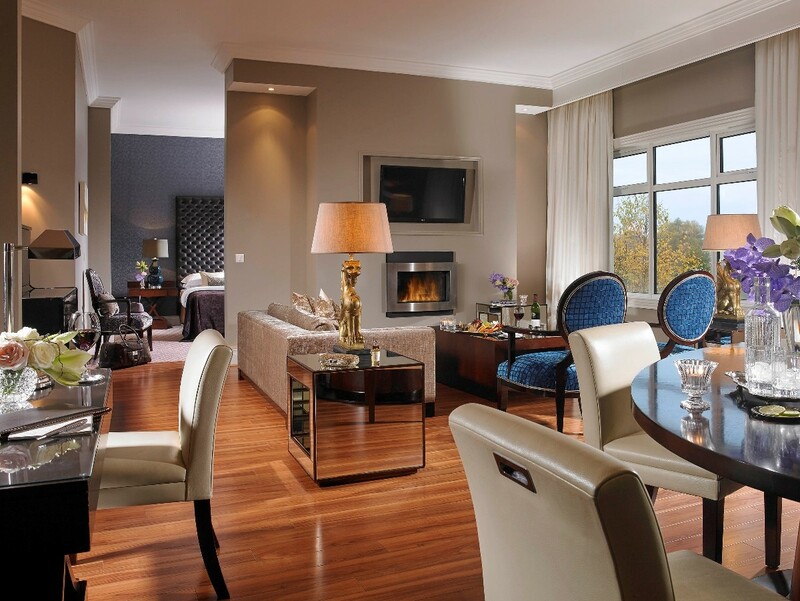 The House and Estate are pristinely kept and even though it has that beautiful Old Estate feel the Lyrath offers superiorly modern amenities and décor. The newly renovated ballroom - which has self controlled lighting/background music has a new outdoor decking opening off to the side through huge Glass panels which fills the room with natural light and air and also allows guests who like to take a break from the room - still be a part of the party!! Their 5 * customer service on all levels left any one else we had dealt with in the waiting blocks. We were lucky to be gifted with Gillian – their Events Manager, who was our personal angel in disguise and made organising everything from Australia an absolute breeze. No suggestion was too much and everything we wanted to incorporate into the day was accommodated for. I can honestly say that Gillian and the team made the entire process super enjoyable and easy! All of the organisation was super relaxed– and not only that – we had such a laugh in the progress. We had cocktails on the outdoor terrace because the weather was amazing, a whiskey and cigar bar, our own theme incorporated throughout with help from the events theme and florist, all our guests – especially the ones who traveled were more than accommodated for and this was just the tip of the iceberg. We completely trusted the expertise the Lyrath had to offer with our menu. 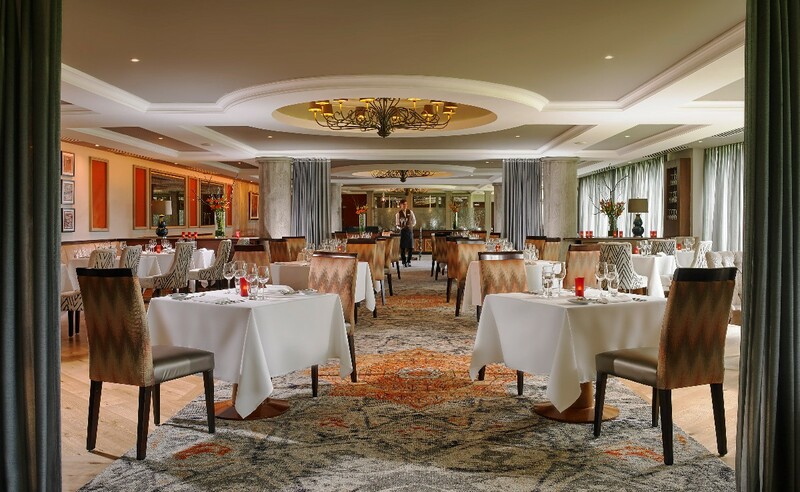 Everything we had tried at our tasting and to be honest any time we had went for lunch in the bar, has always been above delicious so we had absolutely no reservations about the food that would be served on the day. Everyone knows the weather in Ireland is unpredictable. I loved the idea of having an out door drinks reception however its unrealistic to put all of your venue planning eggs in the same basket as the child of Prague! !No problem for the team at the Lyrath - we had the option of having our drinks reception in the fabulous drawing rooms of the house house - or outside in the courtyard area, with view for miles and the house as a back drop. We were so blessed with our 30deg Summer day that there was no other option than to spend teh most part out side and what I loved most was this wasn't even a question or a discussion - we had mentioned this once and on getting to the venue the courtyard was set up for our arrival. We trusted Gillian with a lot of decisions as from our initial meeting with her - her honest approach and advice along with her mass experience in event planning was super obvious. Its very easy and such piece of mind to hand the reigns across knowing you're getting the best options for your budget/theme/ expectations. The canapes perfectly accompanied our summery cocktail selection of Pimm’s, Mojitos and Processco. the menu, to coincide with the summer feel we went with some lighter options of goat’s cheese tart, sorbet, sea bass or beef and apple crumble for desert. The food went down a treat and on the advice from the head chef – left everyone feeling satisfied but not too full to dance!! 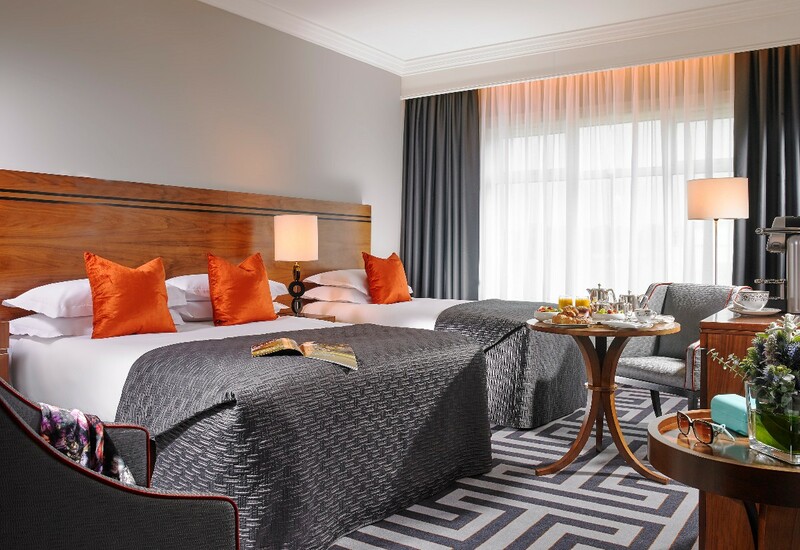 We could not recommend the Lyrath highly enough - I think Gillian and her team ( and all the staff throughout the hotel) are really what made the decision for us initially - and proved in the end that we made the right choice in every aspect. We had an amazing wedding. 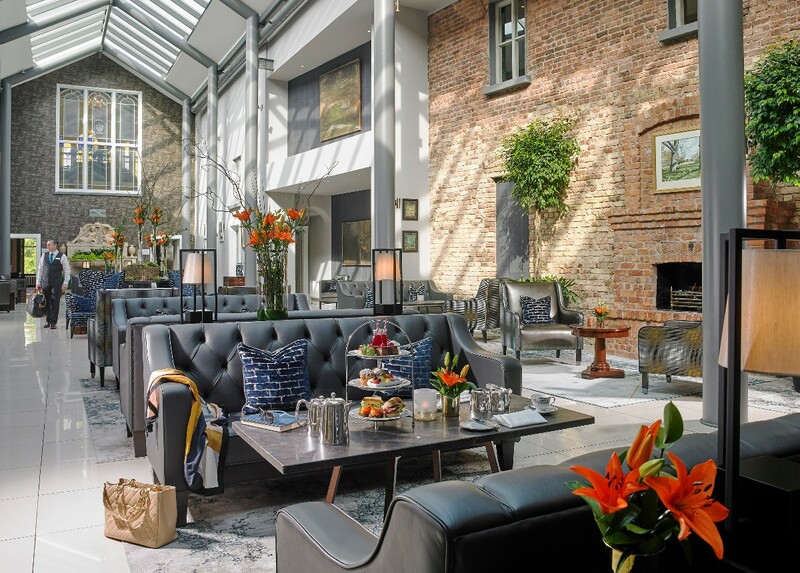 The entire team at the Lyrath were so helpful and accommodating. The guests had a wonderful time and everyone complemented the food. We highly recommend the Lyrath. We could not have looked for better service. They dealt with us on a personal budget and in a very Personalised way. We couldn't have asked for a better hotel for our wedding. Lyrath was amazing. The Lyrath is an amazing venue with amazing people working there. 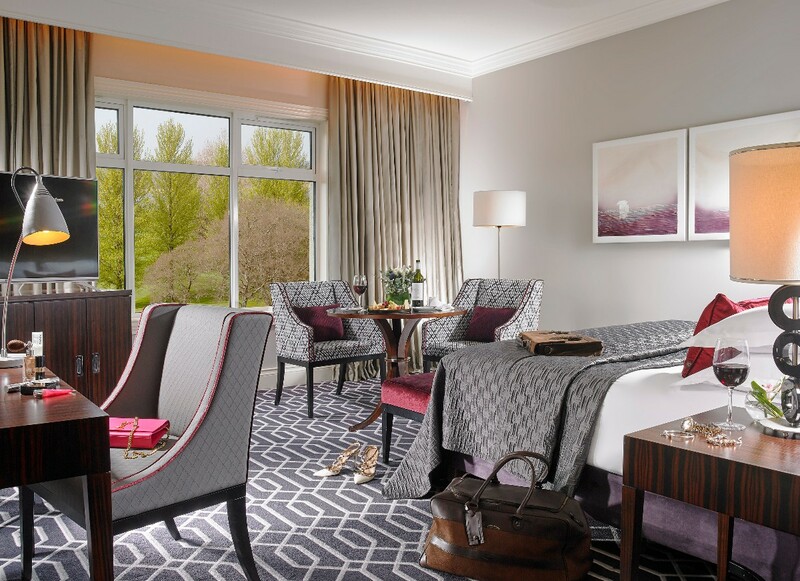 Everything about it is five star but, unlike some five star hotels that are uptight, The Lyrath has a wonderfully warm and friendly atmosphere. It has been two months since we had our reception there and still all of our friends and family talk about how amazing it was. All of our guest were looked after to the highest of standards and the food and service was exceptional. I dealt with Sylwia at first as our wedding coordinator but Gill took over as Sylwia went out on maternity leave. Sylwia was so well organised and on top of things that the change over to Gill was seamless. Gill was also amazing to work with and was so efficient and quick to respond to emails and calls. 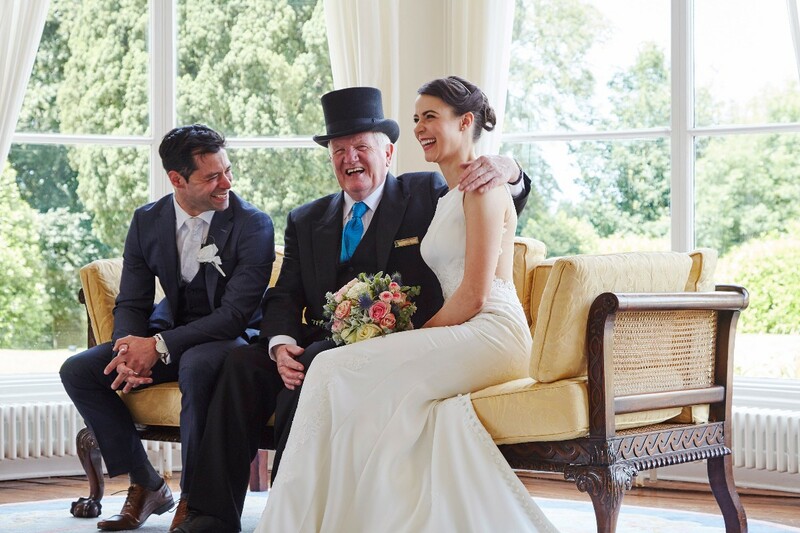 We did not go with one of the packages available, instead we created our own special day with a small dinner in the old manor house and then a big BBQ at 7 that evening for all of our friends and extended family in the ballroom. Only for the help of Sywia and Gill in the organisation of all the different aspects and the amazing staff and managers on the day, the whole wedding reception went off without a problem. 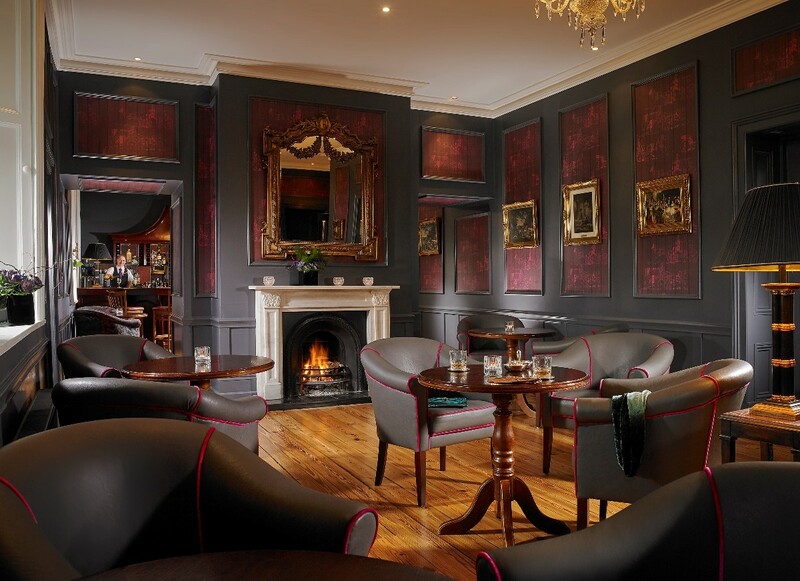 We really cannot fault the venue and staff and we cannot wait to return for our anniversary. Hello Mr & Mrs McCarthy :) Thank you so much for such a gorgeous review. I'm delighted that I got to work with you both in the final few weeks of organising the Big Day and so happy that you had such a good time. Very Best of wishes to you both from myself, Slywia & all the team. There is nothing we can fault. The service on the day was excellent. Everything was on time and we had a very relaxed day knowing that everything was being taken care of. Also during our drinks reception we missed out on cupcakes and the staff kindly brought us out our own plate of desserts. from beginning to end this was simply the best experience. the team were exceptional. nothing is too much. I arranged the wedding from half way around the world but that did not impact on the service I received. It was perfect. Amazing to deal with and were very flexible with changing things in and out of the package. Iona and the folks at Lyrath couldn't have done enough for us they were so professional and warm, professional and gave us the best day, nothing was too much. Thanks guys! Thank you Grace, I really enjoyed assisting you in planning your Wedding day! In the lead up to the day Iona was a great a help the planning was painless one detailed meeting following by two short ones she left nothing to chance. We and all our guest had an incredible day that will live long in the memory and all thanks to the exceptional staff in the Lyrath. Cannot recommend them highly enough. I got the pleasure to work with Sylwia through most of our planning of our wedding. Since the beginning she was amazing, great help and always there answer any questions we had and provide us with different alternatives that would suit us. I couldn't fault her service at all. She new exactly what we needed and what we were looking for. She always dedicated us time and effort through the planning of our wedding. We got the exceptional combination of old and new, we got our civil ceremony in the old house and the reception in the new building. It was just amazing. The staff was amazing, we always ended up going to Toppers bar and the staff were brilliant, always helpful and they always welcome you with a smile. 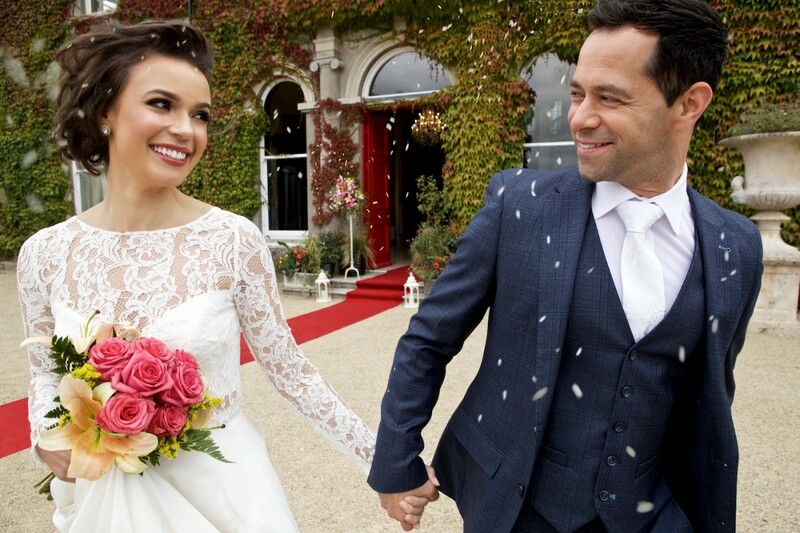 Laura and Ivan on the day of the wedding they were a delight, they were extremely helpful through the day, they were always checking to make sure all was going according to plan and making sure myself and my husband were happy and looked after all the guests. The next day, they both as well, were extremely helpful and a delight, making sure all was going according to plan and making sure everybody was looked after. The staff in general were just brilliant, always extremely polite, extremely helpful. Very happy with all their help from the beginning to when we checked out. It was just brilliant. We had our wedding at the Lyrath in January 2016. We cannot say enough positives things about our experience there, from the initial booking to the day itself. It is a big venue, with the ability to accommodate large numbers, but it feels like they really care about each wedding at a personal level. Communication with Iona was always so easy, which was very important to us as we were planning our wedding from abroad. The wine cellar was perfect for a post-rehearsal dinner the night before the wedding. Many of our guests stayed for the wedding night, and they all commented on how helpful and friendly staff were....this was very important to us. 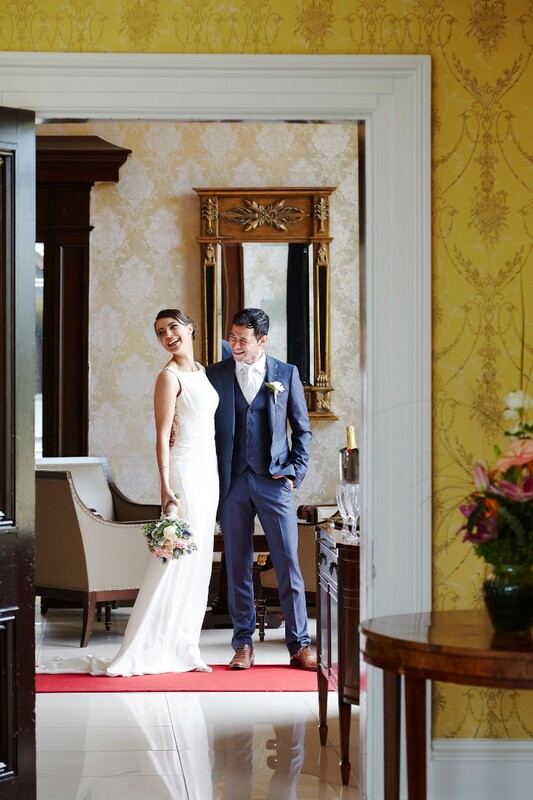 We would highly recommend the Lyrath for anyone planning their wedding. You won't regret it! 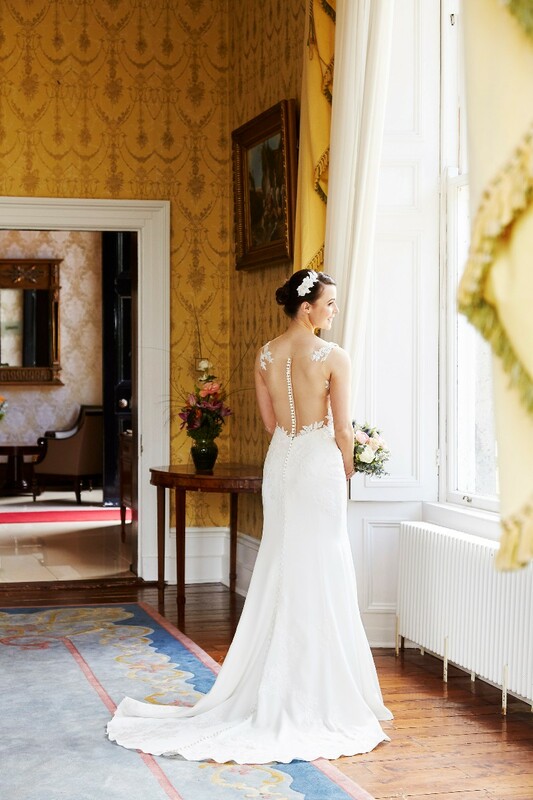 Lyrath Estate Hotel was fantastic as our wedding venue and Iona, our event coordinator was a joy to work with. All of our requests were accommodated, nothing was a problem and we had a fabulous day from start to finish. Even the weather behaved itself and we got some beautiful photos taken by the lake. 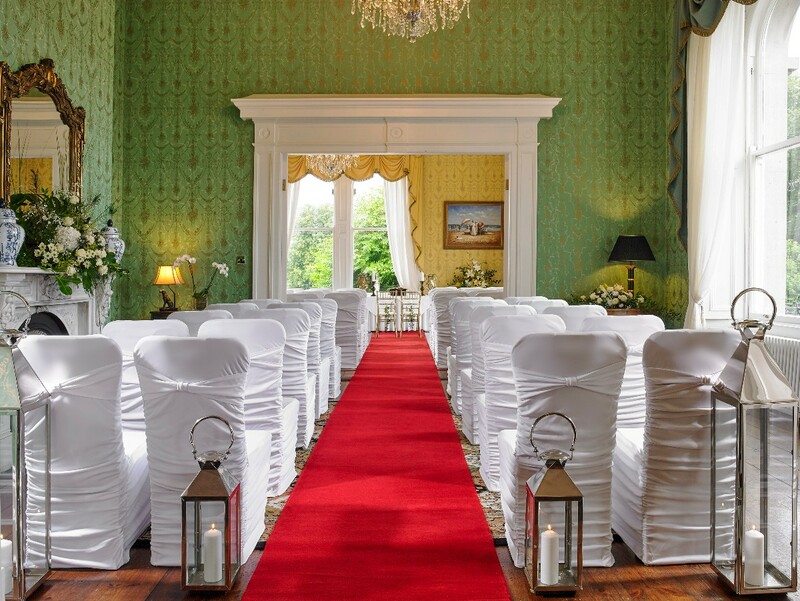 Our preference was for a small wedding, 65 guests for a Spiritual Ceremony and Reception in the three beautiful Manor House rooms and reception area, with a similar number arriving later for the evening reception. The food and drink was fantastic, as was the service. As we took the three bedrooms upstairs in the Manor House, we basically had the entire beautiful old house to ourselves for the day. 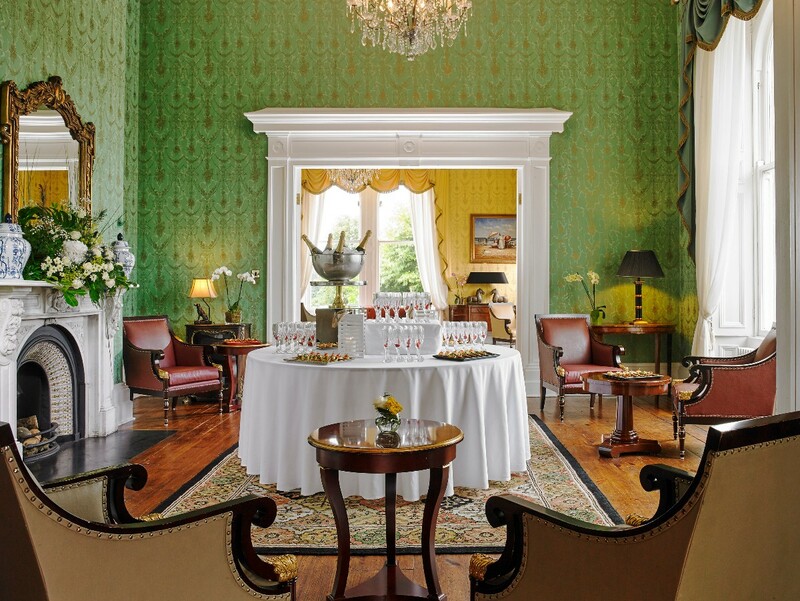 If you are planning a small wedding, we cannot recommend the Lyrath Estate Hotel highly enough. Make it extra special with a Black Tie dress code. Many of our guests declared that it was the best wedding that they had ever attended. We got married in the Lyrath on the 17th December 2016 and it really was the most amazing experience. Our situation was somewhat unusual as we are based in Sydney but all of the staff we dealt with really took the stress out of planning a wedding from the other side of the world. Our wedding planner Iona was an absolute superstar to deal with and the wedding co-ordinator Alan made sure everything ran perfectly on the day. Every single member of staff we dealt with was professional, friendly and obliging. The hotel really treated us like royalty and provided a few additional perks to make the whole experience even more enjoyable. Every one of our guests we spoke to told us how impressed they were with everything. 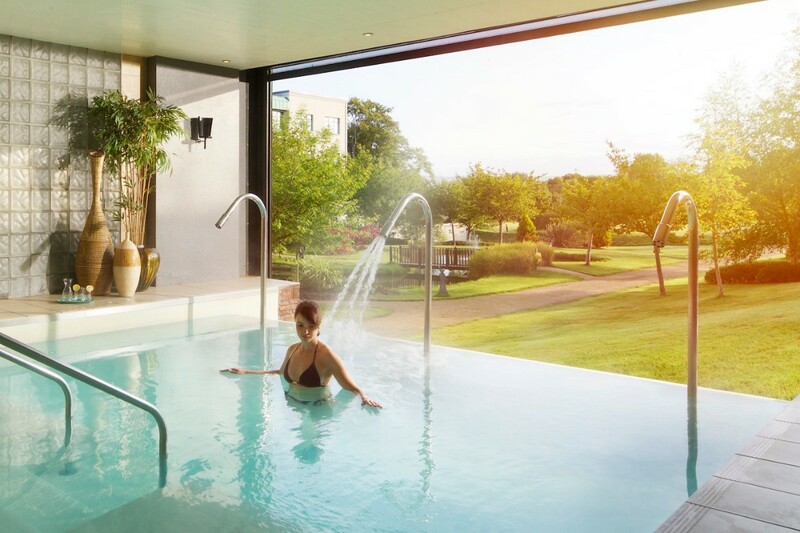 The rooms, the facilities, the food and the the service. The grounds are the additional bonus and we were able to take some amazing pictures down by the lake. It made life so much easier on the day being able to go straight there from the church and then only having a short journey up to the hotel itself. Sometimes you read a review and wonder if an experience could really be that amazing........trust me for us it was. Thank you again to all the staff at the Lyrath, especially Iona and Alan. Lyrath was a great venue for our wedding. The standard of the food was excellent and on the day staff went out of their way to ensure everything was perfect. When dealing with Iona and the team in the months leading up to the wedding day, we never felt like just another wedding, we were always made feel special. They also made us feel relaxed because of their professionalism, they knew what they were doing and on the day it showed. Everything went off without a hitch and we were free to just enjoy it all stress free. Excellent service. Staff were always on hand to deal with queries and always came back to us promptly. Would highly recommend.Special thanks to Alan and Iona for all their help. All of the staff we dealt with were great. In particular, the Sylwia and Darragh from the Events team! Thank you for everything! It was great all around, the hotel couldn't do enough for us. The food was fab, the venue was perfect as we had a small wedding and the rooms were lovely. We had a wonderful day. Truely amazing venue- worth paying that little extra for. Everything ran smoothly on the day and loads of guests commented on how lovely all the staff were at all times over the weekend. Lyrath took all requests in their stride and created a truely amazing day for us and all our guests. Review by Anna & Donal Quill. Would highly recommend this hotel as all we and our guests could say all day was truly amazing. The whole day the staff looked after every detail perfectly and with upmost professionalism. Overall a superb venue for a wedding. Everything was taken care of and handled very well on the day which was very important for us. The planning in the months coming up to the wedding were also made very simple for us even though we are living in Australia. The Lyrath staff were happy to do Skype sessions and take our direction for the big day. 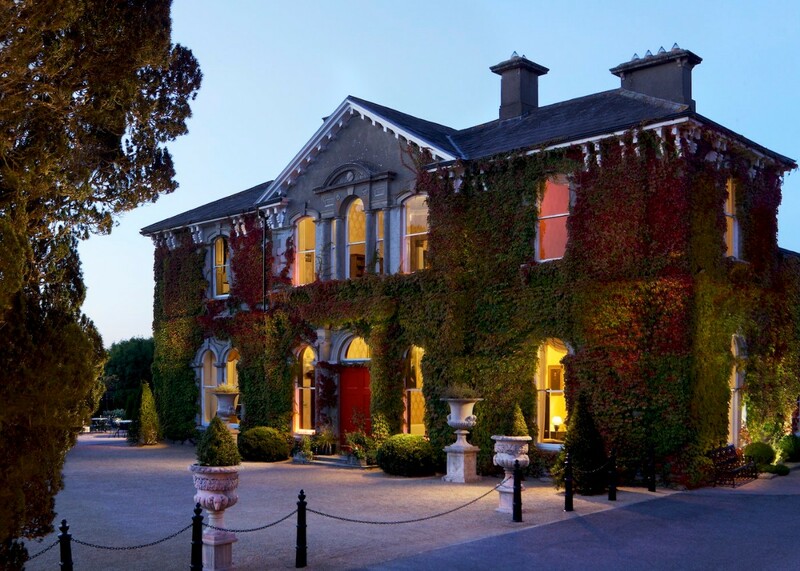 The Lyrath Estate Hotel makes a beautiful setting for a wedding venue with its beautiful gardens and lake and the traditional Old House and spacious banqueting suite. 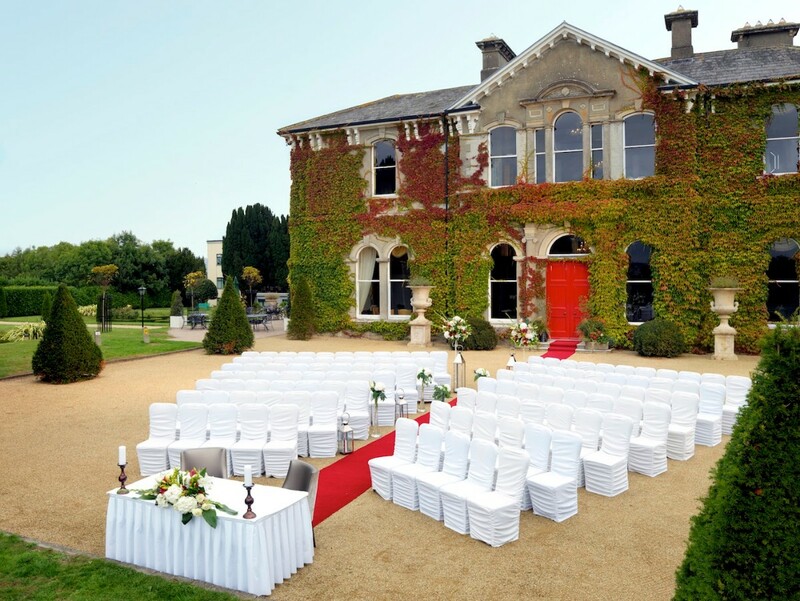 The wedding team have excellent attention to detail and made the planning process easy and very enjoyable. The food was absolutely fabulous and the banqueting team provided such a warm and professional service to all our guests. Our reception was absolutely flawless and beyond our expectations all thanks to the wonderful team at the Lyrath. Amazing venue, staff & food ! Gill, the wedding coordinator, was excellent to deal with, as was Alan the banqueting manager. Loved the old house for the drinks reception and the meal was great. Thanks to Jill and all the team at the Lyrath, we had a great day. The hotel staff couldn't have done enough for us, the venue was lovely. I would highly recommend the Lyrath. Our wedding was a great success and the Lyrath staff did everything they could to accommodate us. There were a few hiccups which were sorted without fuss and we didn't even know about it. Food and service was excellent. The suite was deadly. We had our drinks reception outside as the weather was fab and it was perfect. I'd definitely recommend.